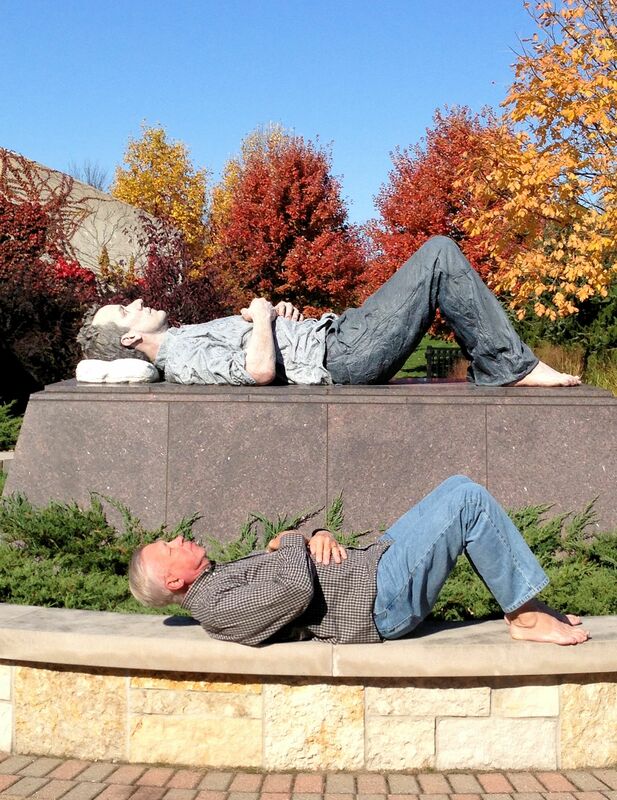 Lying Down Man – The Home of My "Big Things"
Another artwork in the Frederik Meijer Gardens and Sculpture Park. This one is titled, “Lying Man.” Created by Sean Henry in 2003. I couldn’t help myself and had to pose with the sculpture. A couple of younger women wandered by as we were capturing this image. They enjoyed my pose but said I needed a pillow to be complete.